Help your child think bigger, build bigger and use their creativity with this special edition future-themed LEGO® set, featuring a range of colorful bricks and elements, plus a unique 60th anniversary LEGO tile. No matter how big a child’s imagination is, expand it with LEGO bricks. This construction toy offers varying levels of building complexity, makes an excellent starter set for budding LEGO builders and includes a minifigure. What will your big thinker build? 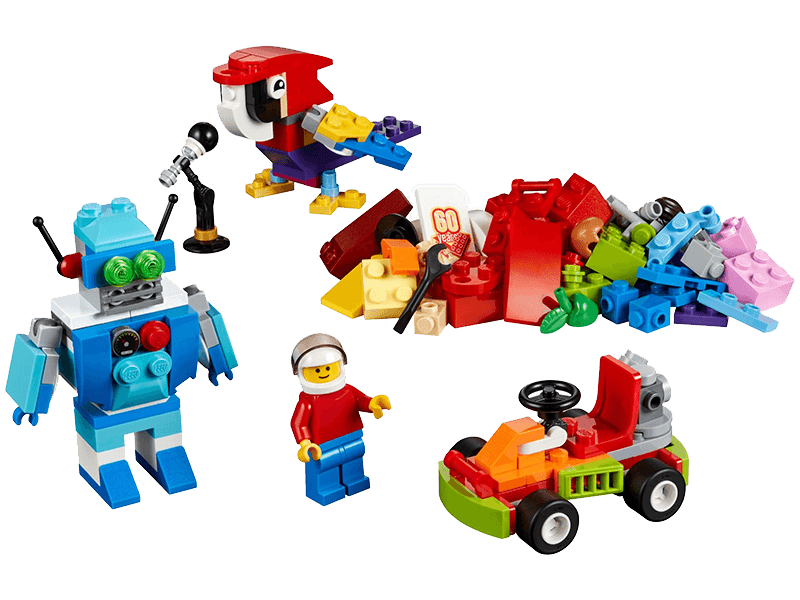 Features a mix of bright and colorful LEGO® pieces that allow for open-ended creative play, special pieces including wheels, shapes and eyes, plus a special edition tile celebrating 60 years of the LEGO brick. Provides varying degrees of building complexity to suit builders of different levels. Let your child answer some of the biggest questions in the world with this special edition LEGO® set. Accessory elements include a helmet, wrench, apple, plus a buildable microphone. This special edition construction toy is suitable for ages 5+. Start building bigger thinking with LEGO® bricks!